A 4-year-old gelding with $5,233 in prior earnings picked up $31,824 while winning the Futurity Open finals and placing second in the Futurity Non-Pro finals, and horses ridden by his trainer Austin Shepard placed 1-2-3 during Saturday’s Open finals to earn a combined $49,364 as the 35th annual Augusta Futurity ended with a bang. CD Kual Gun (High Brow CD x Kual Gun x Playgun), bred and owned by Kayla Norris, of Hattiesburg, Miss., and Shepard won the Futurity Open with a crowd-pleasing 225 as the 14th duo to compete during the two-set 16-horse finals. Earlier in the night, Norris and the horse she calls “Koolio” due to his laid-back attitude finished as Futurity Non-Pro Reserve Champions with a strong 215.5 effort. Norris and CD Kual Gun also earned $4,918 by tying for fourth in Thursday’s Futurity Amateur finals. From Jan. 21-Jan. 25 at the Augusta, Ga. show, CD Kual Gun competed in an Amateur, Non-Pro or Open go-round or final each day, including Saturday’s double-dip. Shepard, of Summerdale, Ala., has worked with Norris and her horses six years. He thought CD Kual Gun had enough talent, but he wasn’t sure the horse would still have enough steam. Big Daddys CDs, a gelding owned by Mike and Libby Bowman, of Simpsonville, Ky., and Shepard’s first-set 219 led the Futurity Open until CD Kual Gun and Shepard’s late run topped it. That horse, sired by High Brow CD and produced by Snazzy Easter Bunny, earned the reserve champion title and Augusta Stallion Incentive checks totaling $16,604. Circle S (High Brow CD x MH San Tules Dually x San Tule Freckles), bred, owned and ridden by Shepard, tied for third during the Futurity Open finals with a 217.5 to earn $13,178. 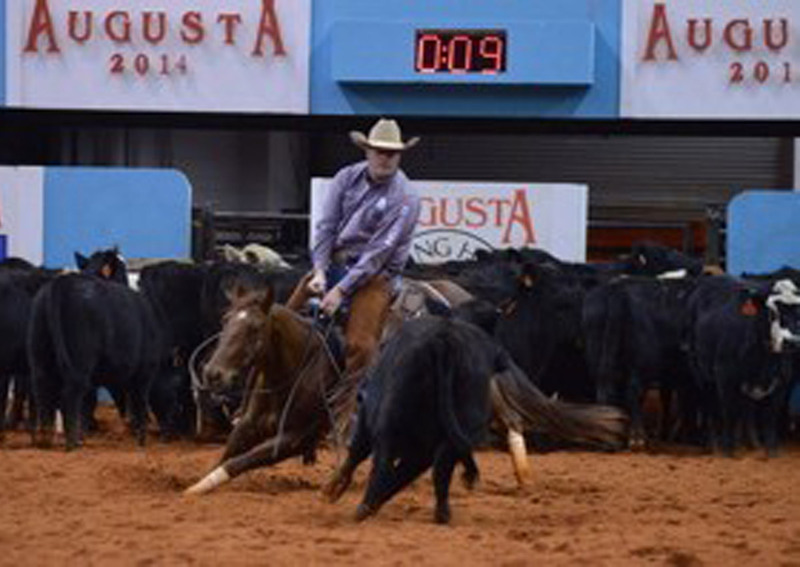 Austin’s wife, Stacy Shepard, and Circle S competed in the Futurity Non-Pro finals and earned $1,200.